Over the years, leaders at the helm of CII have proved themselves to be visionary industrialists. They have been able to anticipate changes in the economic environment, identify emerging challenges and evolve action-solutions for development. A unique feature of CII has been a constant reinvention of itself into an institution that today is not only leading industry, but working for the progress of the nation as a whole. At critical turning points in the country's economic history, CII's leaders have demonstrated the courage to lead Indian industry into uncharted territories and engineer change. CII leaders have consistently promoted a policy of partnership and cooperation with all stakeholders, and particularly with the Government. This intrinsic partnership approach has played a major role in the evolution of Indian industry over the years, as it transformed from a frail entity insulated from the global economy into a strong and vibrant sector that is driving India's economic growth today. The key positions of leadership in CII are President, President-Designate, and Vice President. For 2019-20, Mr T V Narendran, CEO & Managing Director, Tata Steel Limited, is the CII Vice President, Mr. Uday Kotak, Managing Director & CEO, Kotak Mahindra Bank Limited, is the President-Designate, CII, and Mr. Vikram S. Kirloskar, Chairman and Managing Director, Kirloskar Systems Ltd. and Vice Chairman, Toyota Kirloskar Motor, is the President, CII. The CII Secretariat is headed by the Director General who oversees the implementation of action agendas and leads the day-to-day management and operation of this vast organisation. 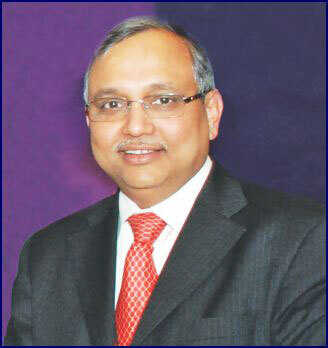 Mr Chandrajit Banerjee is the Director General of CII since 2008 with an experience of over 30 years in CII. We are happy to see that Ministry of Defence has taken cognizance of CII’s recommendations to prune the list and keeping it to the bare minimum…..We are also hopeful that the delays in granting / renewing Industrial Licensing would also be addressed at the earliest.